Karen Lynne, Australian Country, Folk and Bluegrass artist announces the release of her sixth album in her growing independent catalogue, which now includes three solo albums and two collaborative offerings. One of these features Sydney Bluegrass band Acoustic Shock and the other, singer/songwriter Pat Drummond. The album is titled The Singles, and is Karen’s first compilation album of singles released on Australian radio from her five albums to date. Karen comments It’s been well over 20 years now since I started out in my musical career and after all those years singing and five albums, I think I’ve ‘earned my stripes’ so to speak, and the right to present a compilation album. I guess you could say it was a kind of celebration of my years singing and recording in the industry and a really nice summary of me and my musical journey so far. Also by using the singles released to radio over the years, it means that the listener gets a snippet of some of the best tracks from each of my albums, all on one disc. As Karen has always skated between Country, Bluegrass and Folk, it is a great album for first time fans who may not be familiar with her many styles. It has also been packaged for use as a great promotional tool for any media personnel wishing to understand more about her music and not only contains 15 tracks, but includes a detailed discography with biographical and album information, individual track chart placings, award information for each album and a video clip as well. Leavin’ Town – Michael Cleveland and Flamekeeper’s debut band release on Rounder Records hit the streets last week. Fourteen cuts featuring Mike and the rest of the 2007 IBMA Instrumental Group of the Year, Todd Rakestraw, Jesse Brock, John Mark Batchelor and Marshall Wilborn. 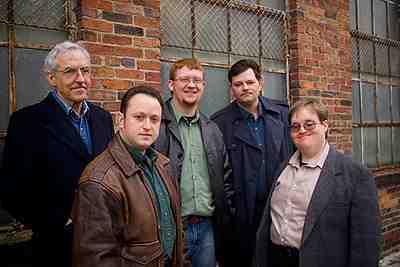 The Flamekeepers have celebrated their new CD release with the launch of a new website and domain name. The site features, photos, biographies of band members, news clips and music samples of the bands new CD. 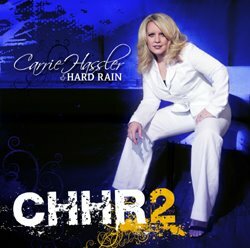 Rural Rhythm Records isvery proud to announce the second album release, CHHR2, by Carrie Hassler & Hard Rain, produced by Grammy nominated Jim Van Cleve on July 29, 2008. Carrie Hassler surprised a lot of people with her debut album, not the least of all herself. Just four years ago she was a young mom in Crossville, Tennessee, then in a story that echoes Connie Smith’s rise from homemaker to heroine forty years ago, the music business came looking for her– Nashville writer/producer, Craig Havighurst. 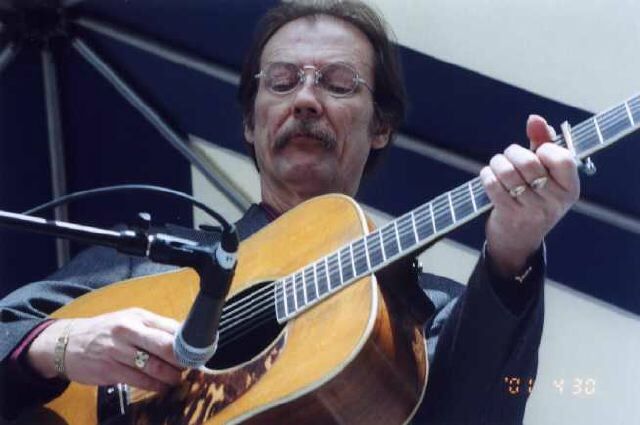 No other guitarist in the last thirty years has had a greater impact on acoustic music than Tony Rice. The new Rounder compilation, Night Flyer: The Singer-Songwriter Collection, due August 5, contains a broad selection of the music icon’s engaging vocal tunes taken from several of his albums – as well as three previously unreleased tracks – and demonstrates the wide range of non-bluegrass material that he incorporated into his signature sound. Featured and accompanying musicians on this collection include Larry Atamanuik, Cole Burgess, Sam Bush, Kathy Chiavola, Vassar Clements, Jerry Douglas, Bela Fleck, Jimmy Gaudreau, Todd Phillips, Wyatt Rice, Mark Schatz, and Bill Wolf. 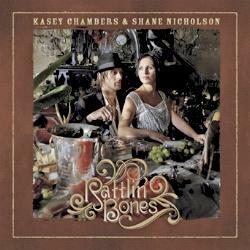 Kasey Chambers and Shane Nicholson have teamed together for the first time to write and record the country and bluegrass album – Rattlin’ Bones. due to be released on 16th Sep for Sugar Hill Records, their first for this label. Rattlin’ Bones, Chambers and Nicholson’s first collaboration album features a guitar, dobro, banjo, lap-steels and fiddle amid blended seamless harmonies that lead you to believe thay have sung together for years. USA’s Cybergrass reports: – The album kicks off with the title trackâ€”a dobro driven lament on loss and love that features Kasey and Shane’s vocals in unison as well as trading lines back and forth in the verses. “Monkey On a Wire” is an up tempo song touching upon the dangers of vices and addiction â€” all underscored by the wail of a remorseful fiddle. “Wildflower” is a sweet ballad sung by two lovers singing together in conversation. McCoury Music releases the first all-bluegrass album for kids and their parents, Little Mo’ McCoury, August 21. Ronnie McCoury’s fondest childhood memories are ones he has of accompanying his father-the iconic Del McCoury-to bluegrass festivals, experiencing early on the way that music can bring parents and kids together. Now that he is a highly accomplished artist (and father) in his own right, Ronnie-joined by the Del McCoury Band, of which he is now a longtime and prominent member-has recorded an unprecedented album that will allow families everywhere to experience together this quintessential American musical form. It’s fitting that this album bound to bring families together comes from one of Americana’s first families. The McCoury legacy extends back 40 years to when Del was one of Bill Monroe’s Bluegrass Boys, up through the Del McCoury Band’s 2006 GRAMMY for Best Bluegrass Album. 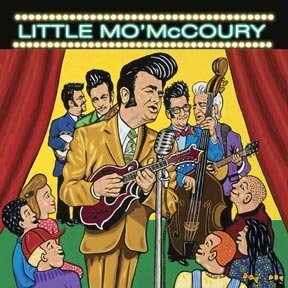 In addition to Ronnie and Del, Little Mo’ McCoury (as in “just a little more McCoury”) includes contributions from Ronnie’s brother Rob and Ronnie’s wife Allison, with whom he co-wrote “My Friend, My Guitar,” a song Ronnie figures is a “good way to get kids to learn how to play a G-run.” Rob’s roles on the album are numerous: He helped with song choices, takes the lead on an interpretation of Earl Scruggs’ “Mama’s Blues,” and plays banjo throughout the recording. 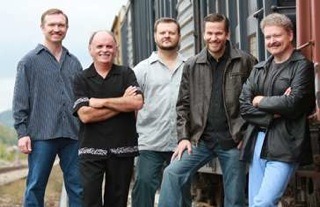 The band’s other members, fiddler Jason Carter and bass player Alan Bartram, are also featured. No other guitarist in the last thirty years has had a greater impact on acoustic music than Tony Rice. With his signature subtle touch, beautiful tone, amazing speed and imaginative phrasing, Rice has inspired guitarists far and wide for decades, as both a peerless lead player and the quintessential rhythm player. His inventive approach encompasses many acoustic music genres in addition to bluegrass, including jazz, blues, classical, folk, and swing, as is evident in his numerous solo and collaborative recordings. Twice nominated for a Grammy Award, he won for Best Country Instrumental Performance in 1983 as a member of The New South. The new Rounder compilation, Night Flyer: The Singer-Songwriter Collection, due August 5, contains a broad selection of the music icon’s engaging vocal tunes taken from several of his albums – as well as three previously unreleased tracks – and demonstrates the wide range of non-bluegrass material that he incorporated into his signature sound. Night Flyer: The Singer-Songwriter Collection kicks off with the previously unreleased Rice original Never Meant to Be, a venting of his feelings in the aftermath of the breakup of a long-term marriage with a sad, bitter tone that is completely real in its sense of unresolved hurt and anger. In addition, a version of Gordon Lightfoot’s Changes is found here, and opens with a sublime guitar intro, with perfect counterpoint by the Dobro of Jerry Douglas. Also included in this collection are Joni Mitchell’s Urge for Going, James Taylor’s Me and My Guitar, John Mayall’s Nightflyer, Bob Dylan’s Sweetheart Like You, and Tom Waits’ Pony. One of the most recognized vocalists in bluegrass music, and beyond, is back with his long-awaited second solo album – Wheels. Dan Tyminski’s prominence has steadily grown through his role as vocalist and multi-instrumentalist in Alison Krauss and Union Station and through his enduring version of I Am a Man of Constant Sorrow on the hit soundtrack to the film O Brother, Where Art Thou? Now with the release of Wheels, Tyminski delivers a superb project accentuated by the inimitable talent of his band – Barry Bales, bass; Justin Moses, fiddle and Dobro; Adam Steffey, mandolin; Ron Stewart, banjo and fiddle – along with special guests Vince Gill, Ron Block, and Cheryl and Sharon White. Combining a sophisticated, modern sound with Tyminski’s hallmark, searing intensity, Wheels features a powerful set of songs dealing with conflict, transition, heartbreak, and the lessons of life – all delivered with timeless soul from one of the great voices of contemporary bluegrass. Sierra Hull is a rare talent: an artist who combines youthful intensity and energy with a sense of grace and maturity well beyond her years. Secrets, her national debut, features her fluidly, inventive mandolin playing and tender, wistful singing supported by a luminous cast of bluegrass masters. From full-on newgrass instrumentals to eloquent, heart-stopping ballads to playful modern bluegrass, Secrets heralds the arrival of a fresh, important new voice onto today’s bluegrass scene. Co-produced by Sierra Hull and Ron Block (Union Station), and featuring Block, Barry Bales, Dennis Crouch, Jerry Douglas, Stuart Duncan, Clay Hess, Rob Ickes, Chris Jones, Jason Moore, Tony Rice, Dan Tyminski, Jim VanCleve, and Cory Walker. “Sierra is a remarkably talented, beautiful human being. Success could not come to a more worthy person. 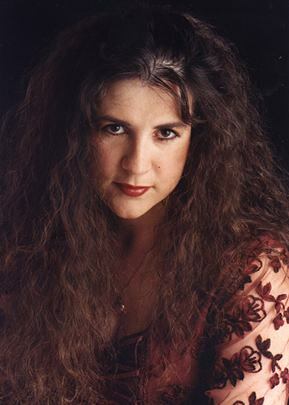 I adore her.” -Alison Krauss. Blue Highway’s latest release, Through the Window of a Train, debuted at #2 on the Billboard Bluegrass Charts and has been critically acclaimed for its stellar musicianship, an album you’ll listen to for a lifetime. At the 14-year mark, Blue Highway is indisputably one of the most esteemed and influential groups in contemporary bluegrass. The band’s eight exceptional albums and compelling live performances give credence to the stellar reviews, Grammy nominations, and numerous awards earned by the band since it first took the stage on December 31, 1994. Blue Highway’s hallmark is an unwavering commitment to the ensemble, the democracy of the band that makes Blue Highway a powerhouse. Individually, Jason Burleson (banjo, guitar, mandolin), Rob Ickes (Dobro), Shawn Lane (mandolin, fiddle, vocals), Tim Stafford (guitar, vocals), and Wayne Taylor (bass, vocals) are masters of their respective roles. Together, in Stafford’s words, they are democracy in the best sense of the word; five gifted artists selflessly merging their talents into a seamlessly brilliant group sound. As a result, the band moves from strength to strength, more mature and impressive with each new album. Blue Highway has five gifted writers in its ranks. Rob and Jason turn out the heart-pounding instrumentals, while Shawn, Tim and Wayne give Blue Highway a depth of songwriting talent unprecedented in sixty years of bluegrass bands. With eight highly-acclaimed albums to its credit, Blue Highway has garnered two Grammy nominations, a Dove Award, topped the Bluegrass Unlimited radio charts, and won numerous International Bluegrass Music Association awards. Refusing to coast on past glories, Blue Highway continues to push its music to new levels of accomplishment. Artfully balanced between tradition and innovation, it remains in the forefront of contemporary bluegrass music.